Coupling Agents | Gelest, Inc.
A coupling agent is defined as a compound which provides a chemical bond between two dissimilar materials, usually an inorganic and an organic. Organosilanes are well-suited in this application because of the ability to incorporate an organic-compatible functionality and an inorganic-compatible functionality within the same molecule. 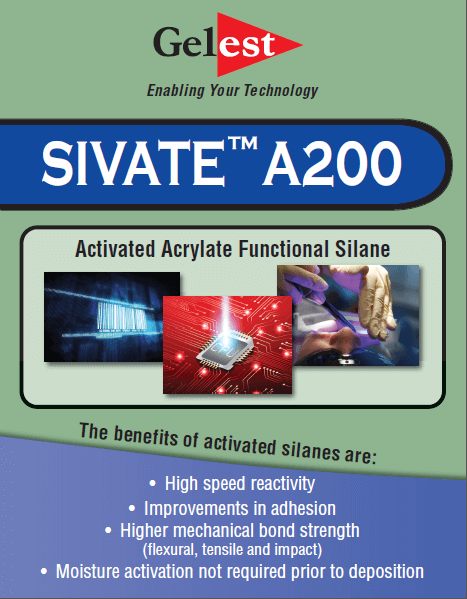 Organo-functionality can be readily incorporated into silanes. 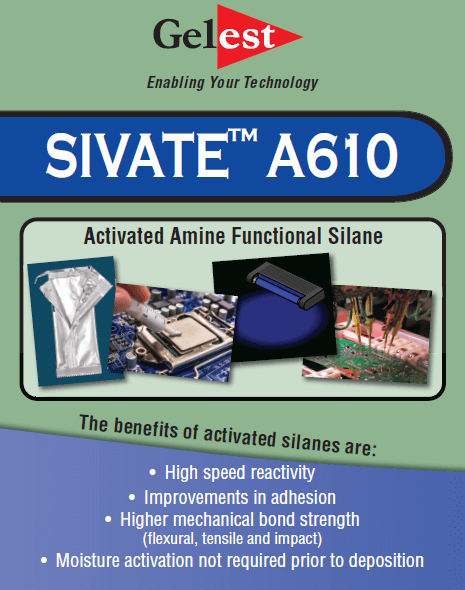 Amino, epoxy, acrylate, methacrylate, mercapto, vinyl are the most common functionalities. The inorganic compatibility derives from alkoxy groups attached to the silicon atom. This bond is hydrolytically unstable and in the presence of moisture hydrolyses to an intermediate Si-OH bond which then condenses with surface-bound OH groups on inorganic surfaces to form stable Si-O-M bonds. These surface-bound OH groups are found in abundance on silaceous minerals and to a lesser extent on oxides and other mineral derivatives of aluminum, zirconium, tin, titanium and nickel. In composites, the stable bond formed via the coupling agent between the inorganic and organic materials leads to significant property-enhancing effects. 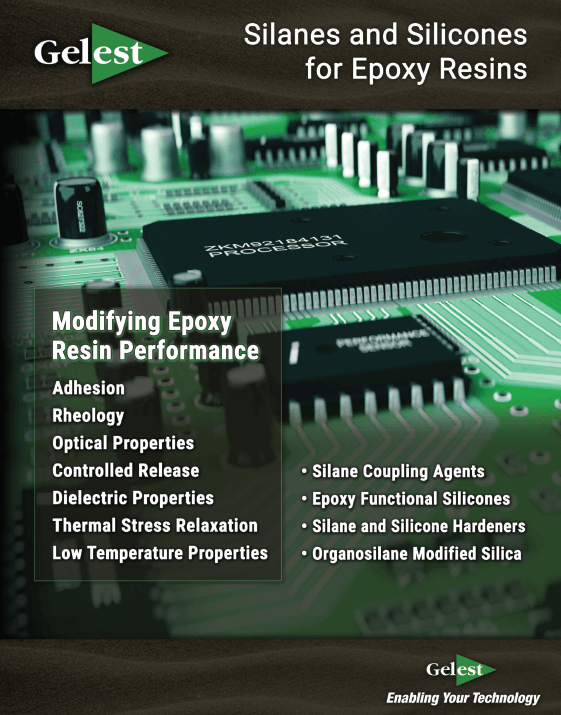 The main applications are in filled polymer systems, including both thermosets and thermoplastics, such as glass fiber reinforced epoxy resins, phenolics, etc. 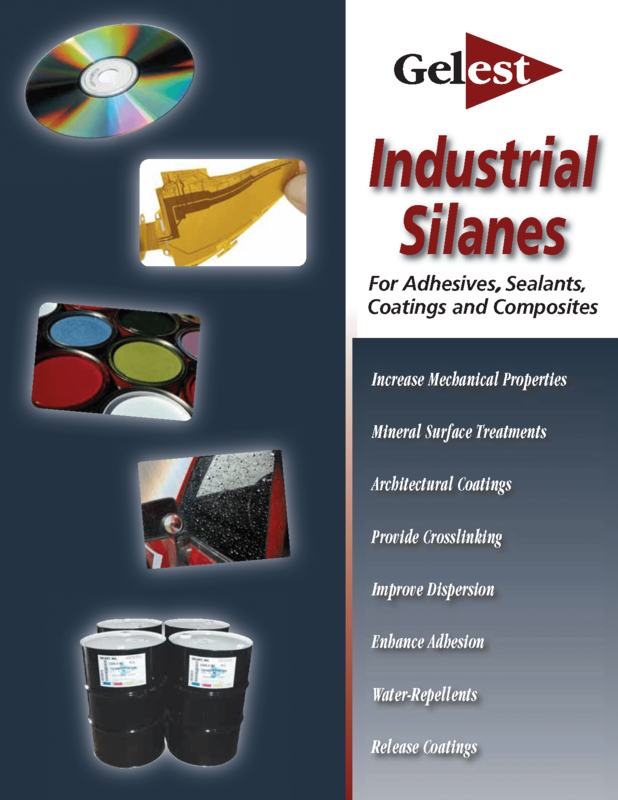 and rubber applications where vinylsilanes are used as filler treatments as well as for crosslinking polyolefins. 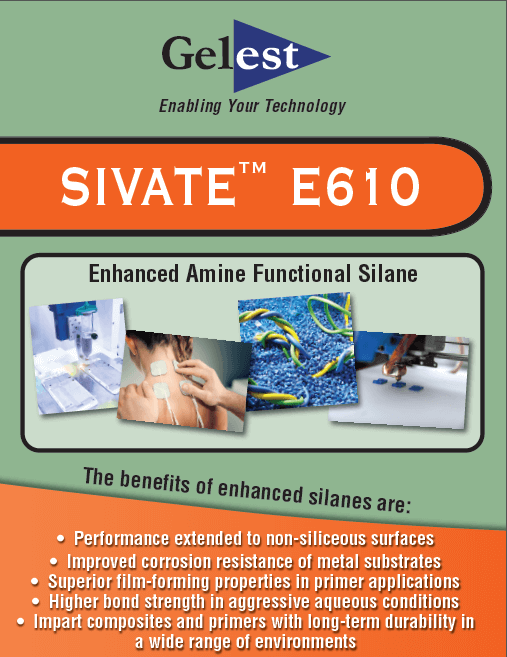 Emerging technologies in biomaterial applications also utilize silane coupling agents.